【業績１】 Y. Todaka et al. 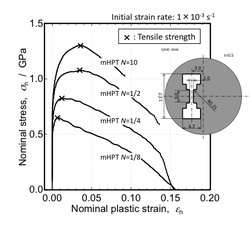 ; Tensile property of submicrocrystalline pure Fe produced by HPT-straining; Materials Science Forum, vol.584-586 (2008) pp.597-602. 【業績２】 Y. Todaka et al. ; Hydrogen embrittlement of submicrocrystalline ultra-low carbon steel produced by high-pressure torsion straining; Advanced Materials Research, vol.89‐91 (2010) pp.763‐768. 【業績３】 Y. Todaka et al. ; Bulk submicrocrystalline ω-Ti produced by high-pressure torsion straining; Scripta Materialia, vol.59 (2008) pp.615-618. 【業績４】 N. Adachi, N. Wu, Y. Todaka et al. ; Phase transformation in Fe-Mn-C alloys by severe plastic deformation under high pressure; Materials Letters, vol.185 (2016) pp.109-111. 【業績５】 戸高義一ら; マルテンサイト鋼の高速ドリル加工によるドリル穴表層における超微細結晶粒組織形成とその力学特性; 鉄と鋼, vol.96 (2010) pp.21-28. 【業績６】 戸高義一ら; 鉄鋼材料における潤滑油中の低摩擦係数化に及ぼす高密度格子欠陥の影響; 鉄と鋼, vol.101 (2015) pp.530-535. 【業績７】 N. Adachi, Y. Todaka et al. : Improving the mechanical properties of Zr-based bulk metallic glass by controlling the activation energy for β-relaxation through plastic; Applied Physics Letters, vol.105 (2014) pp.131910 1-5. 【業績１】 丹羽陽亮, 戸高義一ら; Na添加Mg2Siの熱伝特性; 日本金属学会誌, vol.72 (2008) pp.693-697. 【業績２】 Y. Niwa, Y. Todaka et al. ; Thermoelectric properties of Ca-Mg-Si alloys; Materials Transactions, vol.50 (2009) pp.1725-1729. 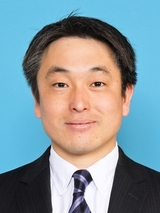 【業績３】 N. Miyazaki, N. Adachi, Y. Todaka et al. ; Thermoelectric property of bulk CaMgSi intermetallic compound; Journal of Alloys and Compounds, vol.691 (2017) pp.914‐918. 3) 2008.11： International Symposium on Giant Straining Process for Advanced Materials, GSAM-2008, Best poster award (Young Scientists), “High-Functionalization of Mechanical Property in Ti and Zr by SPD under High-Pressure”.